My band NoCrows is releasing its 5th CD – “Why Us?” contains two of my compositions, one song, “Metal Man” co-written with David Lyttle and a tune of my own called “Written in Sand”. See blog for more. 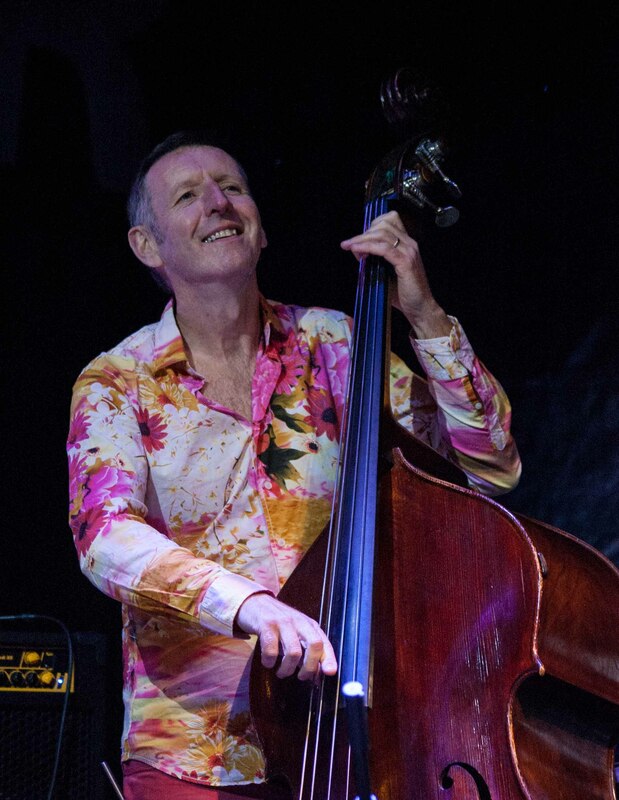 Eddie Lee is a bassist, teacher, producer, composer based in Sligo, Ireland. Eddie’s long musical career began in the 80’s with Irish pop band Those Nervous Animals and since then a very long and winding road has taken him from Ireland to USA, Australia and Japan with acts as diverse as Stockton’s Wing and The Pale. He is living in Sligo and is Artistic Director of Sligo Jazz Festival and Summer School. His love for composing has only really come to the fore in recent years, with an Arts Council commission and several recordings to his name. This website is mostly about Eddie’s compositions – check out the soundcloud and youtube links to his music from the top menu. Video: NoCrows: The Cosy Eye, recorded at Eddie Lee’s “Hey Mr Bassman” concert at the Hawks well Theatre Sligo in 2014.